Skip: Ok Hoover, you've watched the other dogs catch, are you ready to give it a try ?!? Bleeker: Let er rip skip! Bleeker: I caught it! I caught it! 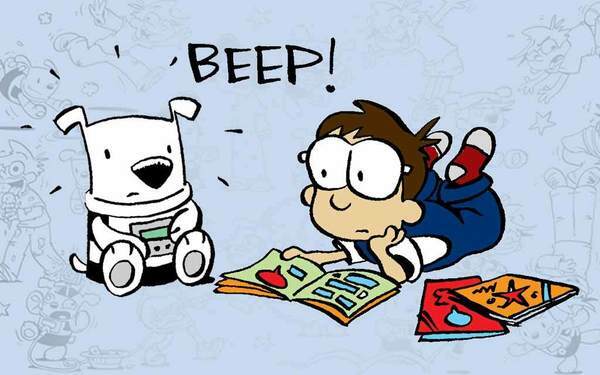 Read Bleeker: The Rechargable Dog from the beginning!